Success Blueprint: Get Out of Survival Mode, Regain Control of Your Life, and Get Ahead at Work and in Life (Design Your Success Series Book 1) - Kindle edition by Lisa Kardos. Self-Help Kindle eBooks @ Amazon.com. Getting ahead in your life and career can be difficult, especially if you’re constantly operating in the dreaded state of survival mode: You feel trapped and you’re yearning for change, but you feel helpless. You are just about getting through the day. The problem with survival mode is that it’s easy to accept. You convince yourself that this is just how it needs to be, yet you know deep-down you won’t be able to attain your dream—to reach the next level in your life and career—unless you regain control of your life. But there is a way to get out of survival mode—a way you can regain control of your life and position yourself to get ahead. Blueprints help builders build houses. A success blueprint can help you build a successful life, to build a life that is different than what you’re experiencing today. And even if you don’t know the exact details of what that life would look like, a success blueprint can help you take that next right step for your life. In this guide, Dr. Lisa Kardos teaches the basic concepts behind her success system with particular emphasis on the blueprint, the foundation for her system. 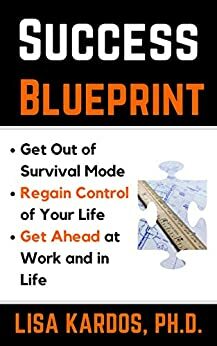 Leveraging the key aspects of the success blueprint: a combination of powerful intention, the use of assessment tools, refined focus and energy, and asking the right questions, you will learn how take the next step in your life and career so that you are no longer operating in survival mode. You will finally have peace of mind and an increased sense of control in your life, since you will be armed with the knowledge and tools for how to optimize your focus and energy for success. By the end of the book, you’ll have begun the key process of developing your self-awareness to attain next-level success, propelling you on your path towards self-mastery. Lisa Kardos&apos; approach to success is to put responsibility in our own hands through the use of her proven (and easy to adopt) tools in addition to her experience-informed wisdom and insight. Lisa has successfully abstracted challenges she experienced and how she overcame them into a step-wise process that the rest of us can understand quickly and adopt effectively. Within this book, Lisa provides a templates and supporting guidance to undertake a personal inventory as a quantitative means to plan our success, one small step at a time. A key component of this approach is a daily inventory (in the form of Lisa&apos;s Daily Journal.) The Daily Journal provides a transparent and easy to use synopsis of how we&apos;re proceeding on our journey. Lisa also provides a Design Blueprint Checklist to guide us through designing our individualized success strategy. Full Disclosure: I received a promotional copy of this book for review. I purchased and used Lisa&apos;s first book in addition to enrolling in her first video training series. Both were very effective. I would have gladly paid for Lisa&apos;s second book, too: Lisa distills self-discovery methods and self-improvement (and focus) solutions into easy-to-adopt steps that squarely put responsibility for personal change into our own hands. That&apos;s the best place IMHO. This book offers strategies and tools to help anyone who is stuck or feeling hopeless. I particularly liked the "Box" technique of drawing ourselves inside this box (Chp 8). When we focus on what we can control ourselves ( attitude/mindset) that can lead to appropriate actions. Actions to move us forward. Getting our power back is one step to changing our lives. Awareness of where we are and where we want to go is another. Glad I downloaded it for free, but full of buzzwords and the latest cryptobabble and not very useful. 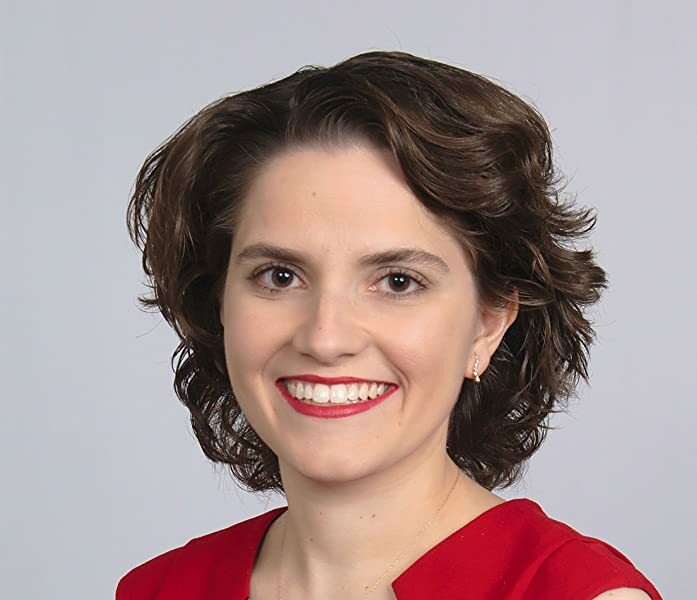 Lisa Kardos' approach to success is to put responsibility in our own hands through the use of her proven (and easy to adopt) tools in addition to her experience-informed wisdom and insight. Lisa has successfully abstracted challenges she experienced and how she overcame them into a step-wise process that the rest of us can understand quickly and adopt effectively. Within this book, Lisa provides a templates and supporting guidance to undertake a personal inventory as a quantitative means to plan our success, one small step at a time. A key component of this approach is a daily inventory (in the form of Lisa's Daily Journal.) The Daily Journal provides a transparent and easy to use synopsis of how we're proceeding on our journey. Lisa also provides a Design Blueprint Checklist to guide us through designing our individualized success strategy. Full Disclosure: I received a promotional copy of this book for review. I purchased and used Lisa's first book in addition to enrolling in her first video training series. Both were very effective. I would have gladly paid for Lisa's second book, too: Lisa distills self-discovery methods and self-improvement (and focus) solutions into easy-to-adopt steps that squarely put responsibility for personal change into our own hands. That's the best place IMHO. At first glance, this book reads like it's very academic and theoretical. Hoeever, once the reader goes through each chapter in greater detail, there is a treasure trove of information and strategies that can be used and applied to enhance one's life. I received a complimentary copy of this book through Reading Deals in exchange for my honest review. 5.0 out of 5 starsGood book for solving a problem most of the people in this modern ages have. This book has a method for step-to-step from getting out of the survival mode, starting with a table, setting up goals, managing all this change in a way of a project. I started reading this book while I am changing my career. I was provided with a complimentary copy of this book, through Reading Deals, so I could give an honest review.